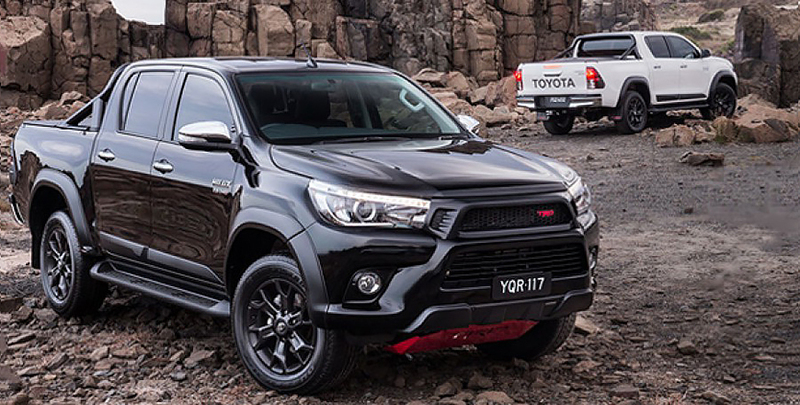 Jump inside the HiLux with TRD sports pack and you’ll find yourself surrounded by the latest technology, a stylish interior and enhanced ride comfort. Complemented with TRD carpet floor mats, TRD leather accented gear lever on automatic transmission models and leather accented trim, experience the ultimate in refined toughness and space. 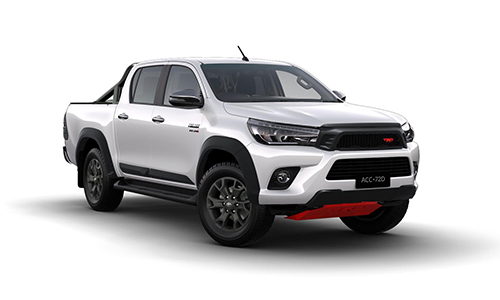 Delivering a bold, fresh dimension of eye catching and unbreakable style built upon the legendary quality and reliability of the HiLux 4x4 SR5. 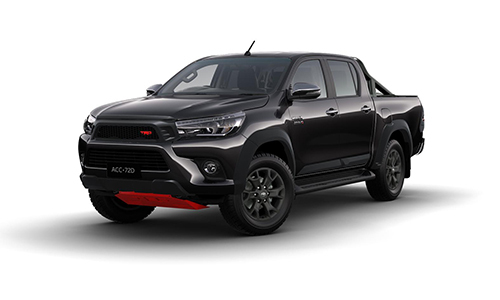 The TRD Sports Pack includes: Leather accented trim, TRD grille, lower bumper cover, over fender set, skid plate, gear lever (Auto only), rear mud flaps and carpet floor mats + Black HiLux sports bar, Matte black 18" alloy wheels (x5), Black HiLux sports bar and much more. Ask our friendly staff about this sports pack today!